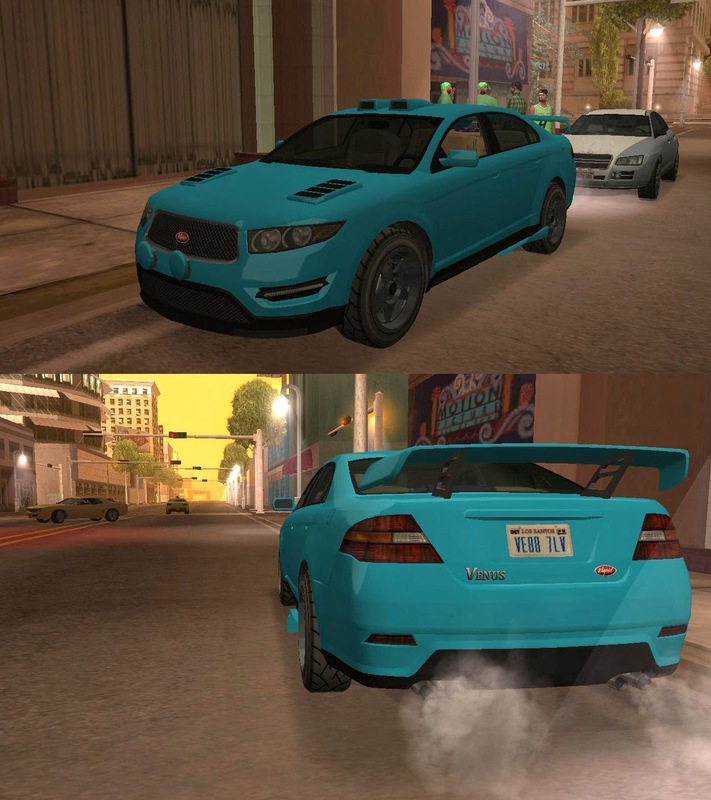 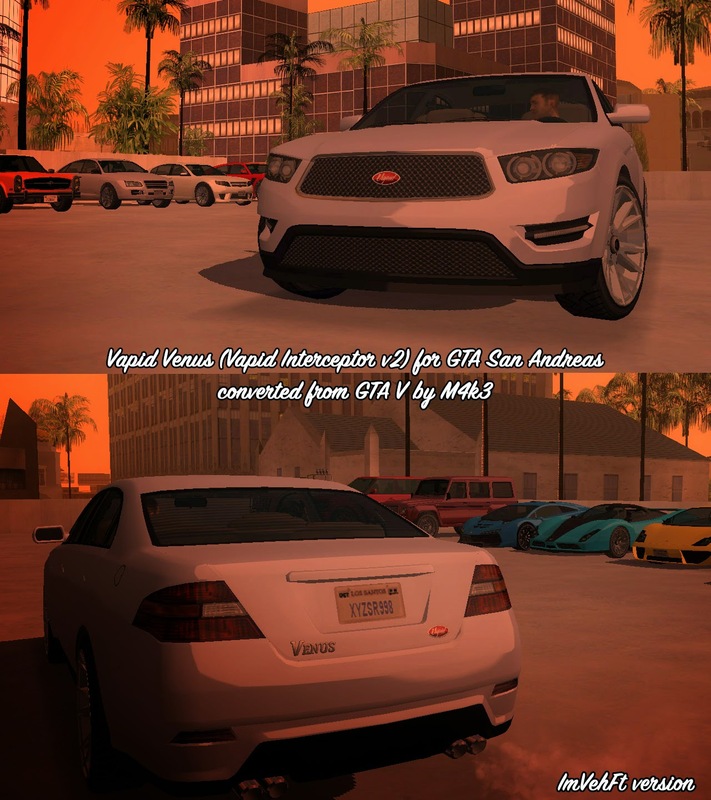 Vapid Venus (Vapid Interceptor v2 civillian) from GTA V converted to GTA San Andreas and edited by M4k3. 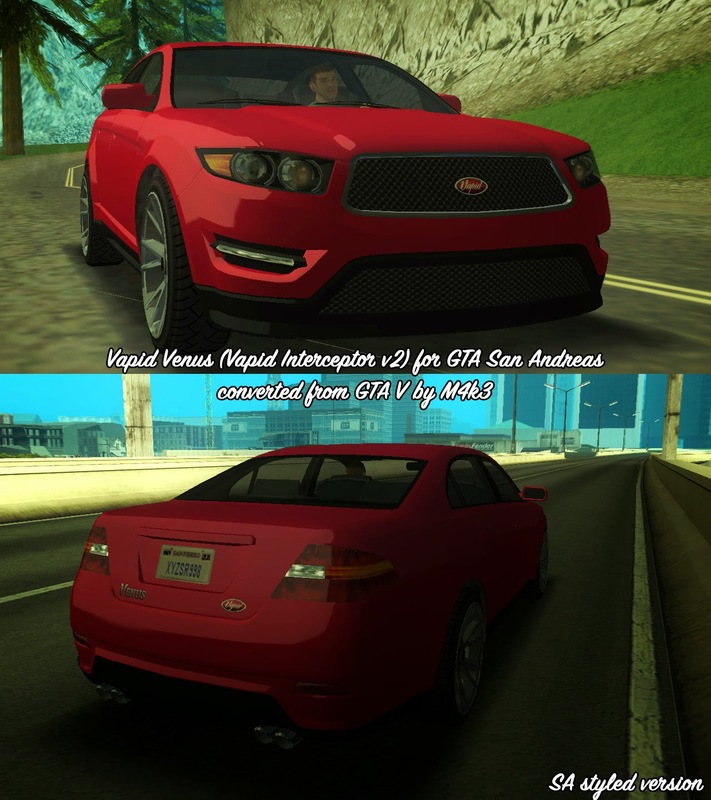 -ImVehFt version: ImVehFt 2.1.1 support, Active Dashboard support (speedometer, tachometer, fuel and temperature gauges, digital odometer and digital clock) (optional), 3 car colours support (body/-/wheels/windows tint), detailed interior. 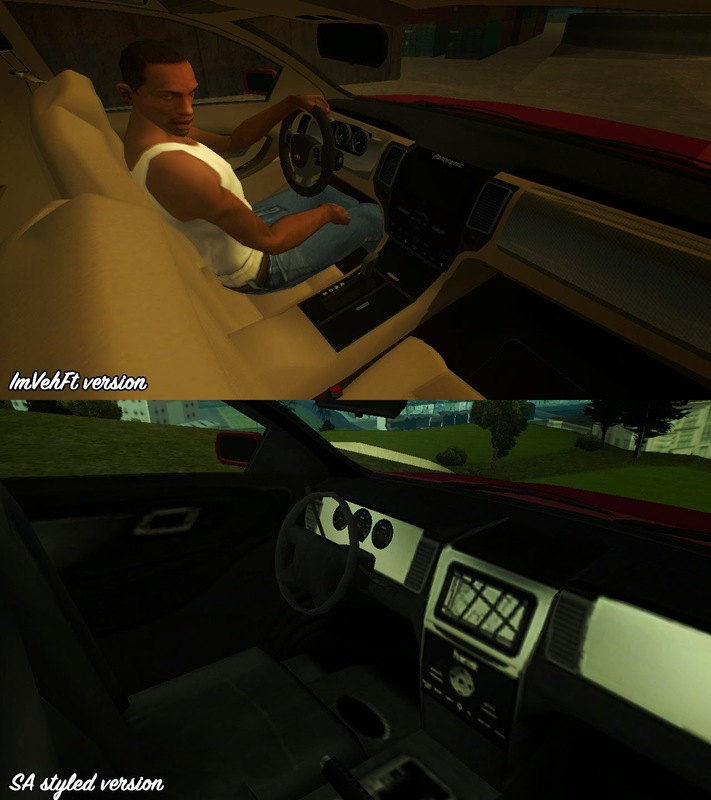 After you complete your conversion could you help me fixing some cars not having shadows?